Today is the first day I can feel Autumn's near arrival in the air. For some reason, it gives me peace. Perhaps because it signifies that time is relentlessly moving forward, even if it does feel as if it's standing still for me. As sad as I will be packing up my flip flops & swim suits, I look forward to the fresh start that a new season brings. 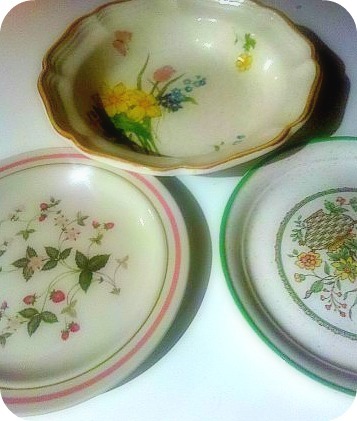 These cute little retro-vintagey dishes are my new collection obsession. I think I enjoy them because they remind me a bit of my childhood. The strawberry plate especially...it beckons the memory of a needlepoint strawberry hanging in my mother's kitchen. Now, I want to fill my cabinets with a menagerie of mismatching dishes that were once someone else's mother's. Then last night, while my husband did some studying for school, I left him with a quiet house to escape to the bookstore for some celebrated "me" time. To my dismay/excitement...the Books-a-Million here is closing. I'm sad for them, but at the same time, this means store-closing-discounts! I scored FIVE books for $25. My Kindle couldn't even beat those prices. So after guiltily ransacking the fiction, romance, and teen sections, I walked away with these winners. Funny side note: While chatting with my husband about his school work, he mentioned that he has to write a 500 word autobiography, to which I replied, "Oh cool, about who?". When did I become such a ditz...I need to go exercise my brain now. So, I'm soaking in this new found peacefulness with my breakfast, a cup of coffee and some light reading while being serenaded by the new Bon Iver album. It's shaping up to be an Autumn Lovely week. Aw B-A-M is closing. Where will the creepy old guy go now? My afternoon has included coffee, Iron & Wine, and a good book - almost twins! 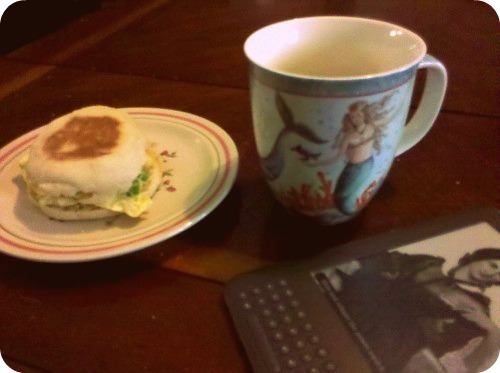 been reading through your blog <3. are you in savannah, ga? we're in savannah! wahoo! 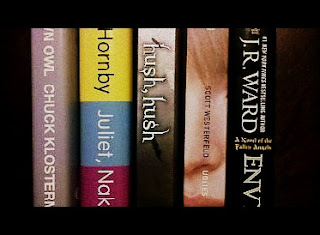 thanks for entering my blog design giveaway btw, good luck!